Info Wyandotte – Page 4565 – Welcome to Wyandotte Daily! 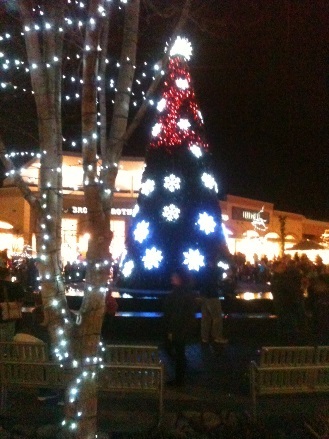 The holiday lights cast a green glow on the stage during the holiday lighting Saturday at The Legends Outlets. 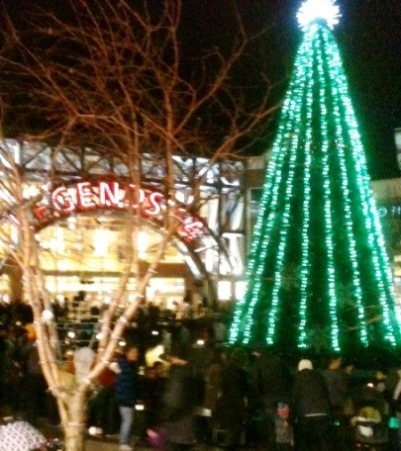 The 45-foot tree in the center courtyard came alive with synchronized lights Saturday at The Legends Outlets, Kansas City, Kan. 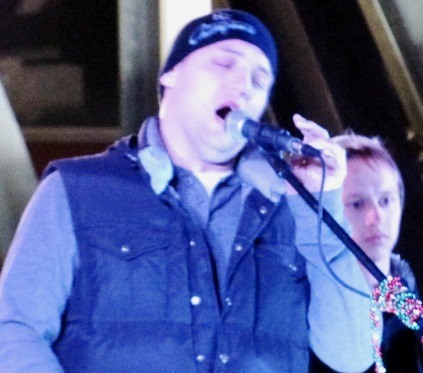 The Grinch was spotted in the background at the holiday lighting Saturday at The Legends Outlets. The Cathedral of St. Peter, 409 N. 15th St., Kansas City, Kan. is sponsoring the fourth annual Nativity Display from 4 p.m. to 6 p.m. Saturday, Dec. 6, and from 10 a.m. to 3 p.m. Sunday, Dec. 7. More than 100 unique nativities will be on display. Come and enjoy a magical experience that reflects the true meaning of Christmas. Admission is free. There will also be a bake sale, fundraiser and refreshments. For additional information, contact Terri at teschne046@yahoo.com. “Scripture Study, Bible Sharing and Reflection, Lectio and Journaling,” a regular weekly series facilitated by pastoral minister, Heather Neds, is offered at Keeler Women’s Center, 2220 Central Ave., Kansas City, Kan., from 9:30 to 11 a.m. Wednesdays. This weekly Bible study group is based on the upcoming scripture readings from the Common Lectionary. There will be time for reflection, sharing and journaling. Call 913-906-8990 to register. Open Door Baptist Church, 3033 N. 103rd Terrace, is holding a raggedy doll ministry Christmas project workshop from 6 to 8 p.m. Tuesday evening, Dec. 2, in Room 128. No sewing experience is necessary to make a doll. For information on materials to bring, contact Open Door, 913-334-7777. Parkway Baptist Church, 12320 Parallel Parkway, is planning a Community Blood Center blood drive from 3 to 7 p.m. Dec. 15 in the church’s classroom area. For more information or to schedule an appointment, call 816-753-4040 or visit www.savealifenow.org. Persons of all Christian traditions are invited to participate in Taizé prayer on Thursday, Dec. 4 at 7 p.m. in Annunciation Chapel on the campus of the Mother House of the Sisters of Charity of Leavenworth, 4200 S. 4th Street, Leavenworth, Kan. Taizé prayer is a meditative, candlelit service that includes simple chants sung repeatedly, silence, and prayers of praise and intercession. These prayer services emerged from an ecumenical community of monks in Taizé, France. For more information, visit www.marillaccenter.org or call 913-680-2342. Stony Point Christian Church, 149 S. 78th St., is planning an all-church Thanksgiving dinner at 5 p.m. Sunday, Nov. 23, in the Cole Activity Center. Families will bring a side dish or dessert. 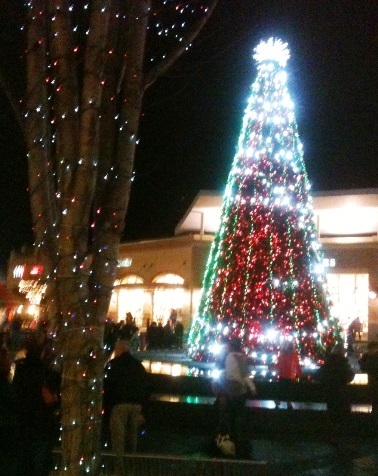 Stony Point also is planning “The Sweet Memories of Christmas Program and Tasting Party” at 6 p.m. Dec. 14. 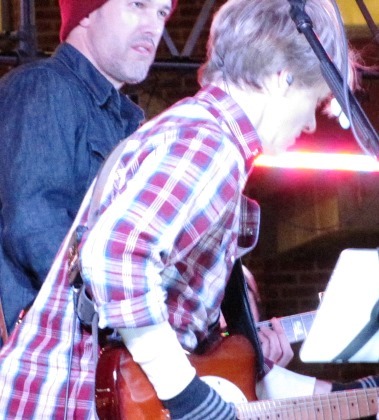 There will be songs, readings, musical numbers or other performances. St. Paul’s Episcopal Church, 1300 N. 18th St., will observe the beginning of the season of Advent at its service at 10 a.m. Sunday, Nov. 30. Advent is the anticipation of the coming of Christ. The Wyandotte Daily News is interested in news of your community event in Wyandotte County. Send information to news@wyandottepublishing.com and include your name and phone number. Please send in planned events by about a week before the event if possible. In the event of inclement weather, call the sponsoring organization to see if the event will be held. The annual Holiday Craft Show will be held from 9 a.m. to 3 p.m. Saturday, Nov. 22, at Eisenhower Community Center, 2901 N. 72nd, Kansas City, Kan. There is no admission charge. For more information, call 913-573-8358. New Bethel Church, 745 Walker Ave., Kansas City, Kan., will hold a free health fair and Thanksgiving outreach from 10 a.m. to 6 p.m. Saturday, Nov. 22. Because unhealthy lifestyle choices can cause health conditions, Pastor A. Glenn Brady decided to initiate the free health fair. Its goal is to encourage good health, and provide individuals with a wholesome meal and food for their family. The theme of the event is “Celebrating Life and Good Health.” The health fair also will include one-to-one assistance to sign up for the Affordable Health Care Act with onsite enrollment specialists from the McDaniel Hazely Group. It also includes health screenings with licensed medical personnel, health presentations, youth activities, a hearty Thanksgiving dinner and groceries for the family. The New Bethel Transportation Ministry will provide pickup and drop-off services throughout the Kansas City metro area upon request. For more event information or pickup – drop-off services, contact the New Bethel Church office at 913-281-2002 or email info@newbethelkc.org. The group is also online at www.newbethelkc.org. The Friends of the Bonner Library quarterly book sale will continue Nov. 22. On Saturday the sale will run from 10 a.m. to 4 p.m. Saturday. The sale is held in the storm shelter area on the bottom level of the library and can be accessed from the parking lot at the rear of the building. The library is located at 201 N. Nettleton, Bonner Springs. The Strawberry Hill Museum, 720 N. 4th St., Kansas City, Kan., will open for the holidays on Saturday, Nov. 22, and will remain open through Sunday, Jan. 26. The museum, decorated in Victorian style, is open from noon to 5 p.m. on Saturdays and Sundays, with special tours available by appointment. The cost of a tour is $7 for adults and $3 for children 6-12. 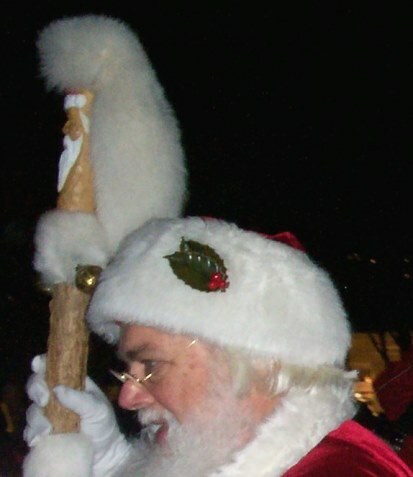 St. Nicholas will visit the museum from 1 p.m. to 4 p.m. Saturday, Dec. 6. 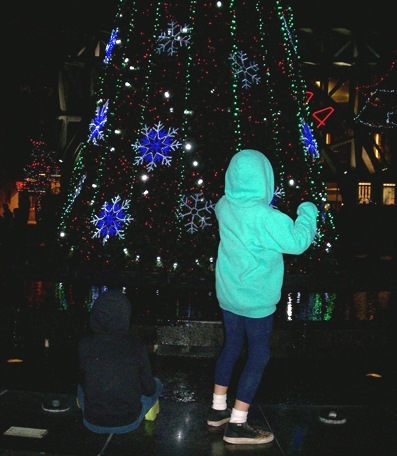 Nighttime tours will be available at 6 p.m. Fridays Nov. 28, Dec. 5 and Dec. 19, and reservations are required. The cost is $15 for the nighttime tours, which includes refreshments and dessert. Call 913-371-3264 for more information or to make reservations. Holiday parties also may be booked. A program from 1 to 2 p.m. Saturday, Nov. 22, at the Schlagle Library at Wyandotte County Lake Park, 91st and Leavenworth Road, will discuss the kind of turkey that makes its home at Wyandotte County Lake, and will include turkey calling and Thanksgiving crafts. All ages may attend. Children must be accompanied by an adult. A craft program for children and tweens, making Thanksgiving turkey napkin rings, will be held from 1:30 to 3 p.m. Nov. 22 at the Main Kansas City, Kan., Public Library, youth services storytime – craft room, 625 Minnesota Ave. All materials are provided. The program is for ages 5 to 12. Registration is required to 913-279-2216. There is a limit of 20 persons. Children may build their own paper turkeys at a craft program from 2 to 3 p.m. Saturday, Nov. 22, at the West Wyandotte Library, 1737 N. 82nd, Kansas City, Kan. Children under 9 must be accompanied by an adult. Groups of six or more must call ahead at 913-596-5800, Ext. 1016. The Bike Club open house will be held from 2 to 5 p.m. Nov. 22 at 1401 Southwest Blvd., Kansas City, Kan. Those who attend will hear about a bike lane project on 10th Street. Enterprise Bank will hold a shredding event Saturday, Nov. 22, at its location at Prescott Plaza in Kansas City, Kan. Shred trucks will be on site and will be available for use for the public to shred unneeded, sensitive documents. For more information, see www.enterprisebank.com/fraudawareness. The Argentine Holiday Lighting Ceremony will be from 5 p.m. to 8 p.m. Saturday, Nov. 22, at Emerson Park, 29th and Strong Avenue, Kansas City, Kan. Family activities are planned. There is no admission charge. 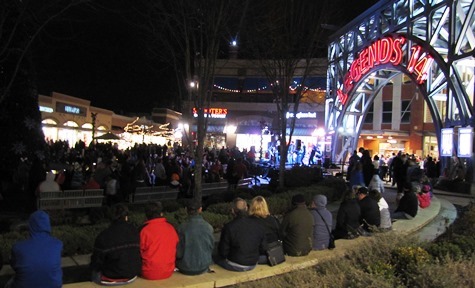 The Legends Outlets will hold the annual Legendary Lighting Ceremony at 7:45 p.m. Nov. 22 at the shopping center, I-70 and I-435, Kansas City, Kan. 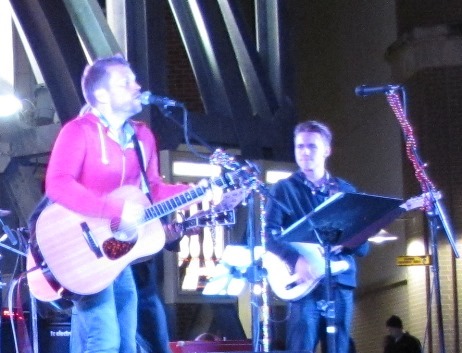 Musicians will play holiday music with caroling from 6 to 7:30 p.m., Santa Claus will light the holiday lights, and a synchronized light display will be seen. There is no admission charge. For more information, visit http://www.legendsshopping.com. The historical Thanksgiving Breakfast Dance will be held at 10 a.m. Nov. 27 at the Kansas National Guard Armory, 18th and Ridge, Kansas City, Kan. The dance will feature blues artists Latimore singing “Let’s Straighten It Out,” “Bad Risk” and “Sunshine Lady.” There also will be performances by Lady Vivian and Rockin’ Rick. The event continues through 2 p.m. Tickets are $38, and reserved tickets are $50. Tickets at the door are $45. For information or tickets, call 816-353-4373 or visit ticketkc.com. Kansas City Kansas Community College’s oldest tradition is returning Dec. 3, honoring the holiday season while raising funds for scholarships at the same time. The 92nd annual Candlelighting Ceremony is at 9 and 11 a.m. Dec. 3 in the KCKCC Performing Arts Center on the main campus, 7250 State Ave. Classes will not be held during the 11 a.m. lighting, so that all personnel and students, who wish to, can participate in the program. However, the Jewell Center, KCKCC Library and all offices will be open during those hours to serve individuals who choose not to participate in the ceremony. The Unified Government Commission will meet at 7 p.m. Thursday, Dec. 4, in the Commission Chambers, City Hall, lobby level, 701 N. 7th St., Kansas City, Kan. On the agenda will be planning and zoning items. The agenda will be posted at www.wycokck.org. 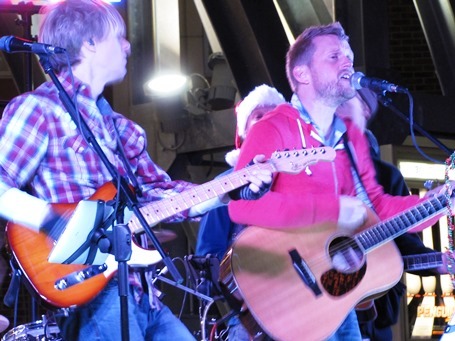 Mayor Mark Holland’s Downtown Kansas City, Kan., Holiday Lighting Ceremony will be held from 4 to 7:30 p.m. just outside City Hall, 701 N. 7th St., KCK. 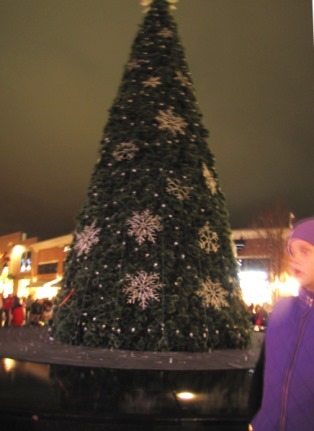 The lighting will be at 7:15 p.m. Events include the tree lighting, holiday movies, crafts for children, and performances by choirs, bands and dance groups. 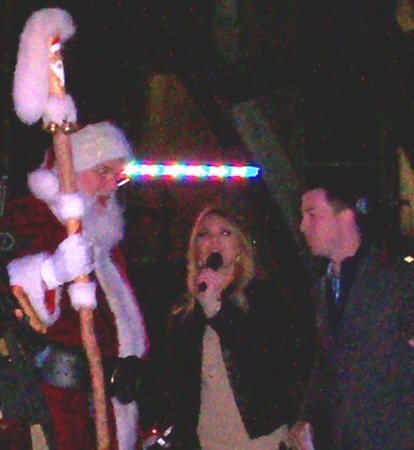 Santa and Mrs. Claus will meet with children. Food vendors will be selling food and refreshments. Admission is free; concessions are available for purchase. The Leavenworth Road Association will hold a Christmas Social from 6 to 8 p.m. Dec. 9 at Eisenhower Recreation Center, 2901 N. 72nd, Kansas City, Kan. Those attending should bring a snack to share with the group. They also should bring a new unwrapped toy or game to be donated to the Community Policing Christmas Adoption Project. For more information, call the LRA office at 913-788-3988. The Kansas City, Kan., Women’s Chamber of Commerce will meet at noon Wednesday, Dec. 10, at the Great Wolf Lodge, 10401 Cabela Drive, Kansas City, Kan. Networking begins at 11:30 a.m., followed by the program at noon. For the December meeting, the program is a Christmas gift exchange. Those who would like to participate are asked to bring a $15 gift. The cost of the lunch is $20 for members and $25 for nonmembers. Guests are welcome, but reservations are required by emailing Barbara Newby at btnewbyks@gmail.com or calling 913-485-1208 or Ardith Deason at deason_a@wmhci.org, telephone 913-233-3305. Keeler Women’s Center, a ministry of the Benedictine Sisters of Mount St. Scholastica, 2220 Central Ave., Kansas City, Kan., offers individual and couples counseling to women and men who might otherwise not be able to afford counseling. Nothing is billed. Donations are accepted. Call 913-906-8990 for information or to do an intake and schedule an appointment.